43"/47"/50"/55"/65" available, please tick the "Size" above. 1. 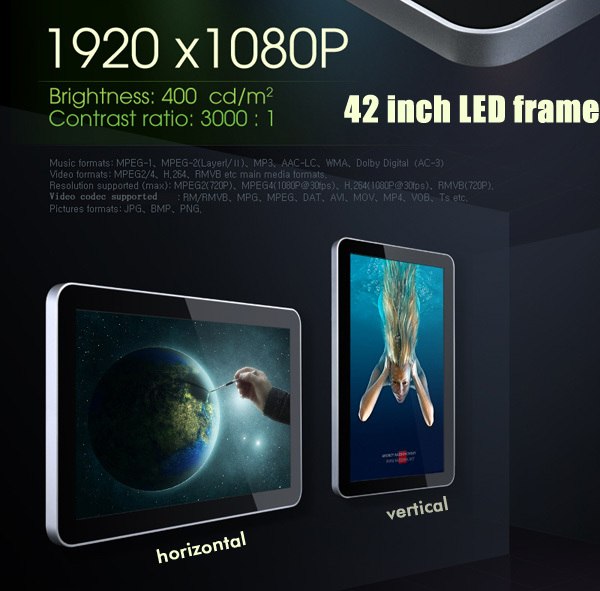 It adopts 43/47/50/55/65 inch LG/Samsung/AU display with a resolution of 1920*1080, supports Dat, Mpg, mpeg，ts, trp, tp, m2ts, vob,mp4, rm, rmvb, mkv, divx, avi, Motion JPEG, asf, wmv, ts 1080P@30P video (more see chart below). 2. It builts in Digital Power Timer to go on or off 5 different times every day, every "Mon-Fri", every "Saturday-Sunday" of the week, several times per day! It will be automatically on/off after the time interval you select, helping you to use energy more wisely and control your display more easily. 3. Scheduled-Playing : Play designated media files such as videos/musics/pictures/Scrolling Text at designated times. You can create 3 schedules on Saturday and 4 schedules on Sunday for your showroom. 2). 8:30am – 12:00pm to Play video2 ~20 and slide Pic11 ~ Pic100to introduce your brand/show. 2). 8:30am – 6:00pm Play video31 and slide Pic101 ~ Pic200 with background mp3and Spotanouncement speacailoffer. 5. Caption function: Add/Display scrolling texts on the top/bottom of screen during playing. 10. 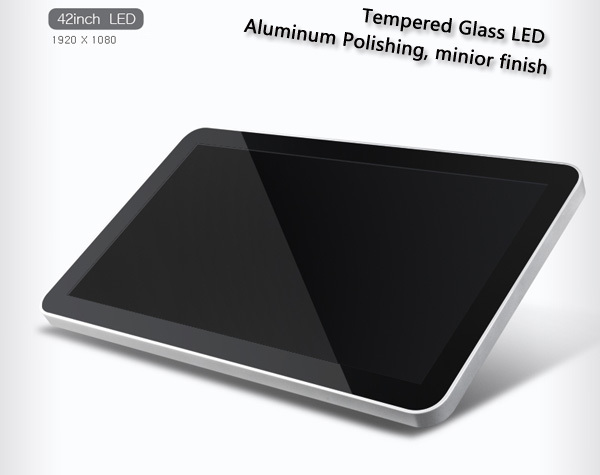 Aluminium alloy border & Metail housing make it much stronger and not liable to being bent. 11. Rotate the screen 90/180/270 degree easily by using the remote. 13. Slideshow with background music. All size have Gold version. Only 42" have Silver version. Automatic power on and power off on schedule. 6.Transport Wood case to protect the frame from transit damage. 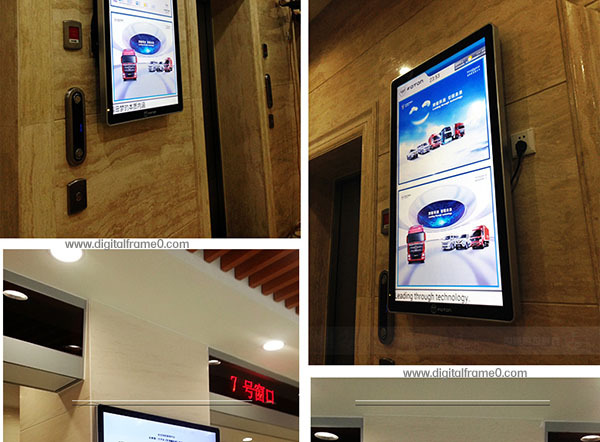 You are most welcome to contact us regardingproduct orwholesale orders via sales@digitalframe0.com.You can also leave your question below. Bought one for my store, it's really an amazing product, it has more features than I expected. It wasn't easy to find an attractive HD frame in this size. Packaging (woodcase) was very sturdy and secure. Thank you very much, Robort!